I'm going to start this post by saying this is my personal opinion (although, duh, because this is an editorial-style blog). I feel the need to state this though because...well...Hatchimal stuff has been straight-up nuts, ya'll. Some people are disappointed and saying their Hatchimals aren't working correctly (or never worked at all), some parents are claiming to hear their Hatchimal curse, others think the noises coming out of the Hatchimals are a little inappropriate, etc. Then there are those who are defending the Hatchimals and getting really upset that anyone is saying anything bad about them. This all is creating arguments in the parenting community. To all of that I have to say...it's a toy. Let's take it down a notch and focus less on the Hatchimal drama and more on the bigger issues of life. If you're not a parent you may not even know what a Hatchimal is or why there is so much craziness over it. It was the toy to get this Christmas. Think "Tickle Me Elmo" madness. They were hard to find and being sold for four to five times their retail price. My son initially was interested in a Hatchimal. And I did the Hatchimal hunt for a couple of weeks. But then, when a local toy store was selling them for $100 I thought, "Is this toy really worth that? What does it even do?" Now, don't get me wrong. Hatchimals are really cute. And it hatches on it's own out of an egg. But other than that...it's pretty much akin to the first model of Furby that came out in the 90's. Not worth $100, in my opinion. So I went home to my son and asked him if really wanted a Hatchimal. His response was yes, but less enthusiastic than before. So I did some research and found some other [more] interactive toys to see if he maybe would prefer something else. I was thinking that maybe he wanted a Hatchimal because that's all he had seen on YouTube and hadn't seen a lot of other options. After showing him a couple of other toys that talk, play games, etc., he got really excited over the Fisher Price Smart Toy. This toy came out in 2015 and flew under my radar somehow. I have found the Monkey and Bear model in stores for around $60 each. 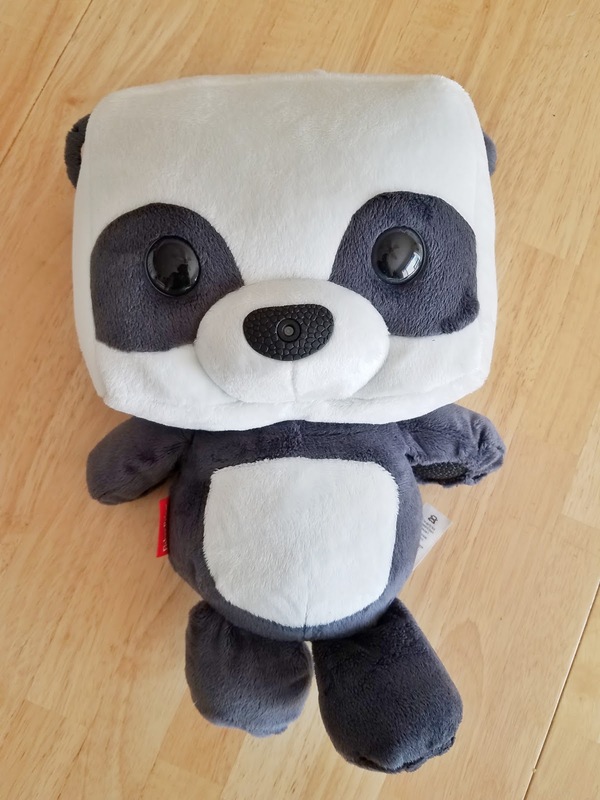 I found our Panda model (not sure why the stores near me don't carry this one) on Amazon for under $28. Yep. $27 and change for this guy. And you'll see why that was such a great deal in a second. This toy is ready to play with right out of the box. He will ask your child their name, ask them if they like grilled cheese or peanut butter better, and tell them how excited he is to "be home" and meet his new best friend. (SO CUTE.) Not only that, he actually listens to and remembers your child's answers. 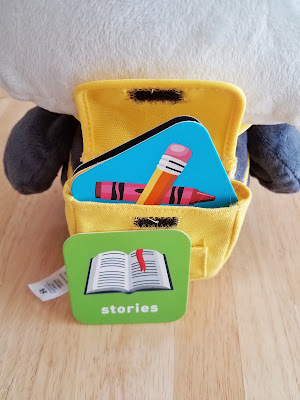 I was shocked when I held up the snack card (I'll get to these next) 20 minutes later and the Smart Toy mentioned eating grilled cheese. My son was elated that his new friend listened and remembered that he liked grilled cheese better. More than all of that, the Smart Toy is app-enabled. Parents can download the app to choose the Smart Toy's activities. It's super easy to connect the toy to your home WIFI using the app. Then you can input your child's name (and the Smart Toy will call your child by their name from then on), name your Smart Toy, and input your child's birthday. My favorite part of the app is being able to select from the Daily Helpers activities. The Smart Toy will create a clean up game for my son to play with it or encourage him to get ready for bed. I also like the educational aspects of the Smart Toy. During an "adventure," I heard the toy tell my son they were going to look for the Loch Ness Monster to try to take a picture of it. The toy explained what the Loch Ness monster is and that it lives in Scotland. It then asked my son "Do you know where Scotland is? Is it in Europe or Asia?" My son responded with Europe and the toy excitedly told him he was correct. At the end of the day, we simply plug the Smart Toy in the wall and let him recharge. Super easy. Super cute. And so many interactive aspects. Definitely better than a Hatchimal for us. And well worth $27 and change.